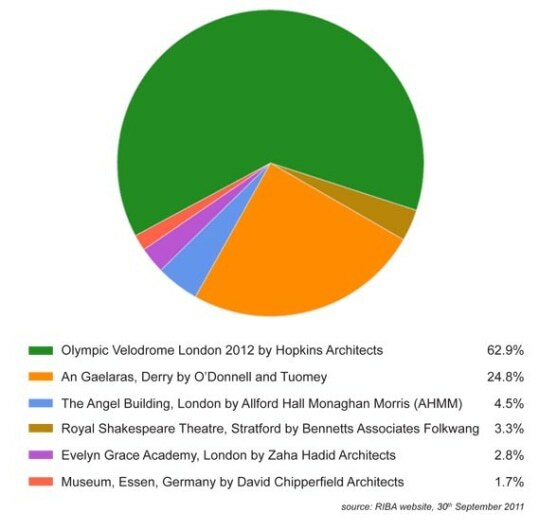 On Friday 30th September, the RIBA announced that the result of the Stirling Prize 'People's Poll' was a clear win for the Velodrome with 63% of the vote. "We set out to design a Velodrome as elegant and efficient as a bicycle; to try and create a piece of architecture the whole country can be proud of during London 2012 and beyond. Ultimately our vision was to create a venue that will inspire future generations of cyclists so we are delighted to have won the public vote, especially since very few people have even been in the building yet. This project hopefully demonstrates what can be achieved in the UK when architect, engineer, contractor and client all work together as one."